Every astronomer wishes they could eliminate light pollution. Unless their is a blackout, light pollution is a problem suburban astronomy enthusiasts face nighty. But their is still hope! Below, I have compiled a list (from my own experience) of objects that can be seen on a clear night during the winter, even with light pollution. 1) The constellation, Orion, is the ideal place to start. 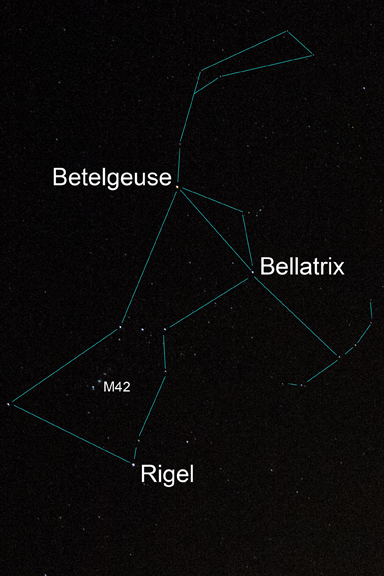 Within the constellation are the bright stars Betelgeuse, Rigel, and Aldebaran and Sirius are near by as well. Also, the spectacular Orion nebula towards the bottom of the constellation can be seen with a telescope! 2) Especially while it’s currently in opposition, Jupiter can easily be seen with the naked eye. In my opinion seems to be the brightest object in the night sky! 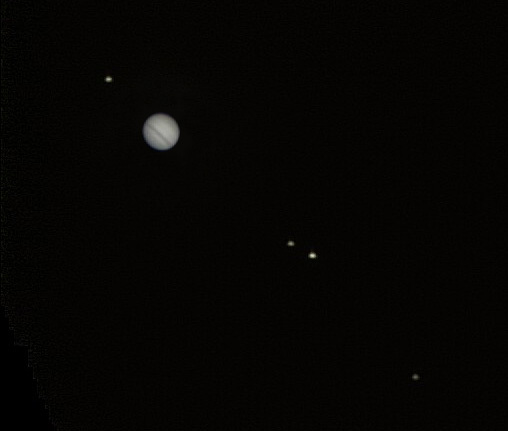 Trough a telescope, all four major moons can be seen and even Jupiter’s bands. 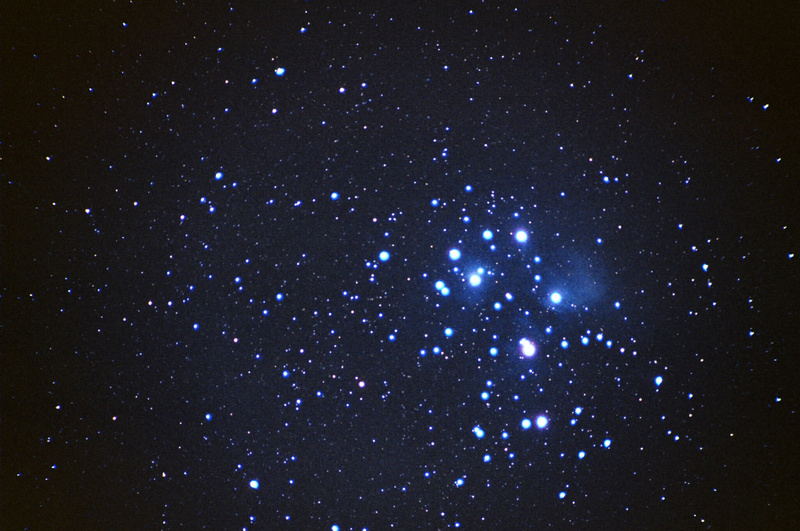 3) Open star clusters are beautiful to capture. One of the easiest to spot is pleiades, right near the constellation Taurus. From stars to planets and even nebulae, there is no shortage for suburban dwelling astronomers to see in the night sky. Hope this helps! Remember, comment your thoughts below and follow me on twitter (@astronoteen) for instant updates on blog postings! NOTE: This guide is tailored for astronomers experiencing winter in North America. Depending on where you live, the night sky could be different. This is awesome! It would be really cool if you could do more on this topic. I’m sure that other teens love looking up at the night sky and wondering what’s up there- maybe a guide to star maps? I can give you a link to a free, printable one!